Winemakers have discovered the cool, maritime climate on Whidbey is perfect for cold-climate grapes, as Greg Osenbach, of Whidbey Island Winery, discovered 22 years ago when he planted his first vineyard in Langley. “People suggested I keep my day job,” recalled Osenbach, a former owner of a steel engineering firm in Monroe. There are now more than a half dozen wineries open on Whidbey Island, with a few more either waiting for their wines to mature or building tasting rooms. Like several Whidbey winemakers, Osenbach makes white wine from grapes out of his backyard and relies on Eastern Washington grapes for his big reds. His signature estate “Island White,” an off-dry white with fruity aromas, remains his best-selling wine, and for $12, a good value and popular souvenir. 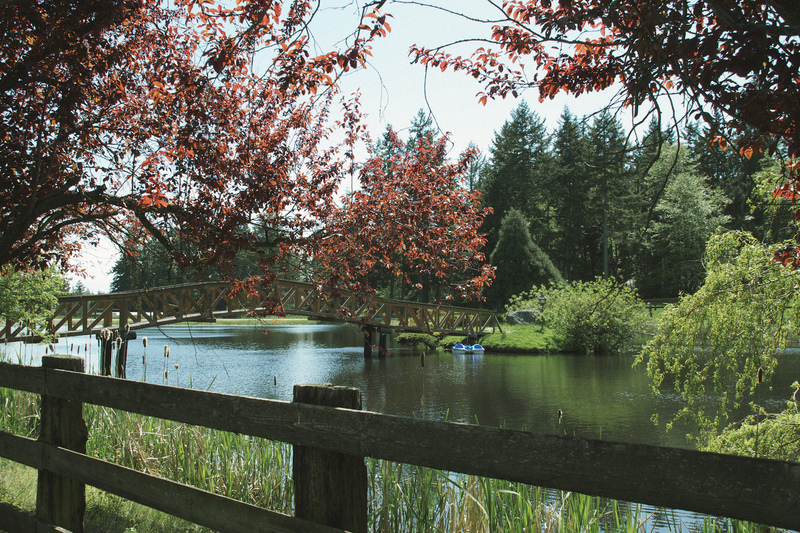 Located off Langley’s main drag, Whidbey Island Winery is one of the town’s top tourist attractions, and with a picnic area, his vineyard makes for an attractive pit stop for cyclists. Often, local art exhibits are featured at the winery. It’s easy to get to know the winemakers on Whidbey, all small producers who make 1,000 to 3,000 cases annually and grow about three to five acres of grapes. Like any mom-and-pop business, their imprint is on everything. The families pick the grapes, bottle the wine, market and run the tasting rooms. They are winemakers such as former Navy pilot Greg Martinez of Holmes Harbor Cellars. Most men dream of flying planes; Martinez flew them to fulfill his dream of saving enough for a winery. 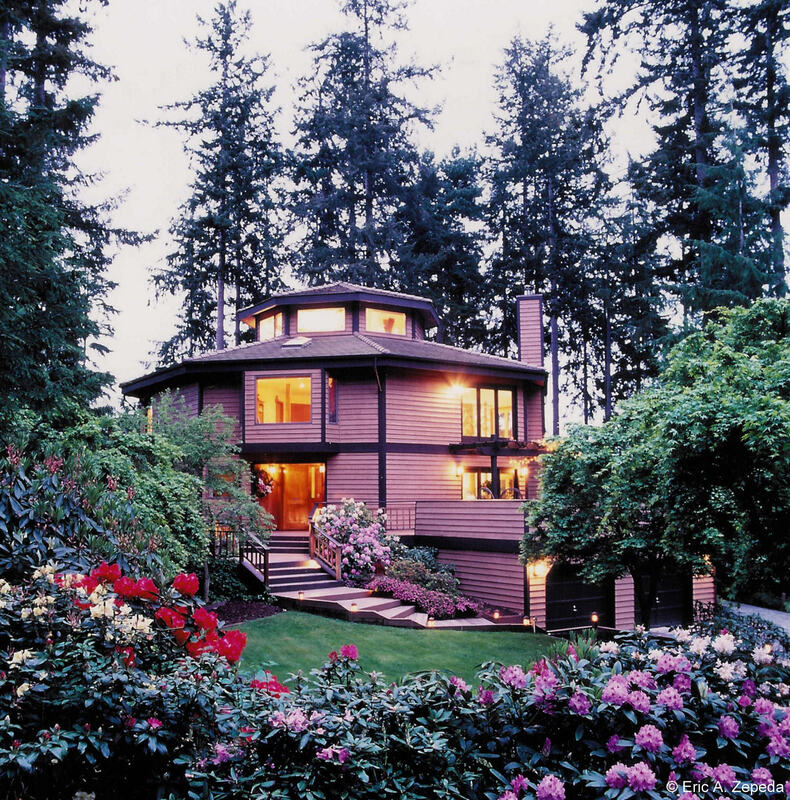 He and his wife purchased 20 acres in Greenbank, at the center of Whidbey, on which to build his dream house and dream business. The California native makes bold reds and heavily oaked whites using grapes from Walla Walla and Yakima Valley. He is growing pinot grapes for his future estate wines. Martinez hosts art exhibits and live bands by his vineyards and Tuscan style tasting room. But it’s more down-to-earth than grand. In evenings, neighbors often knock on his door to buy a bottle and stroll back to drink his cabernet with their meals. “Only on Whidbey”, he explains. 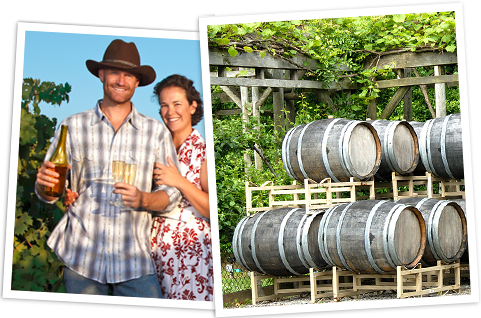 The beauty of boutique wineries such as Whidbey’s is that they still feel more artisan than commercialized. What started as a hobby in 1998 soon grew into an award winning winery. Ken Bloom decided to learn a little bit about making wine when his brother Jim decided to plant his own vineyard in the Hopland area of Mendocino County, CA. The first harvest was 1998, and Ken and Virginia traveled to California to help with that first harvest and each year since then. Now with a shared tasting room at the Bayview Corner Cash Store called TASTE For WINES, Blooms Winery has a retail outlet. 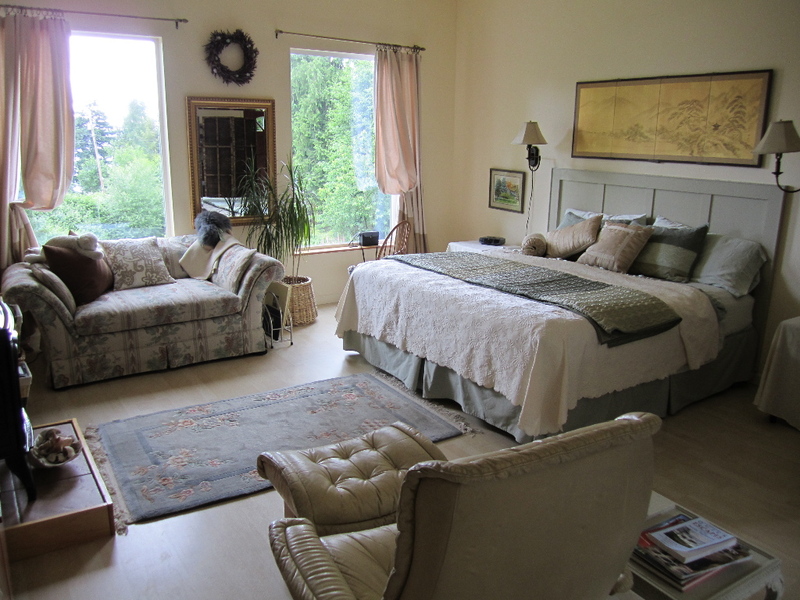 Eagles Nest Inn is located with in minutes of the seven wineries on South Whidbey. 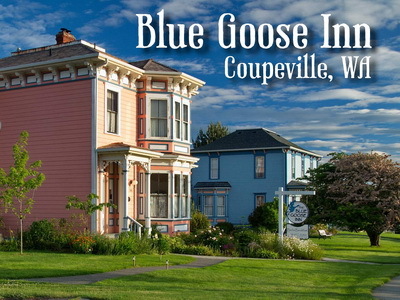 Come sip, savor and stay in Washington States newest wine regions.